Roll the 12-sided Target Die to get your target number. Next roll the five 6-sided scoring dice. Using addition and/or subtraction, combine the scoring dice to match the target number. 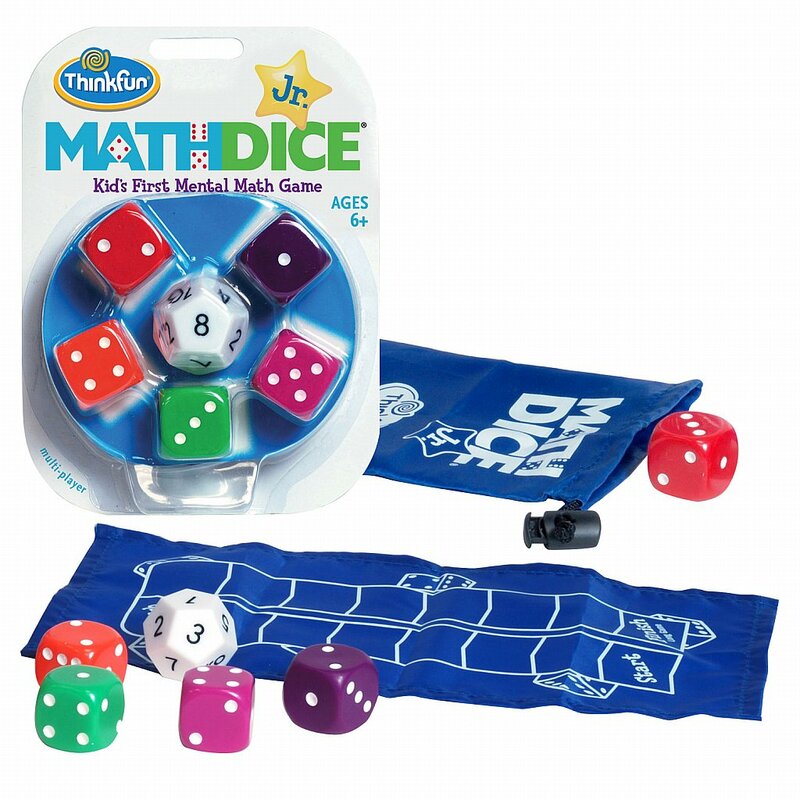 I would like more information about Math Dice Junior by Coiledspring Games.